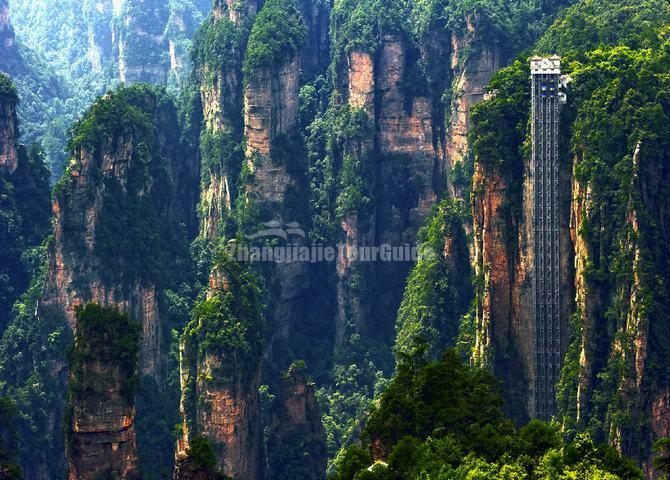 The Bailong Elevator or Hundred Dragons Elevator is a glass elevator built onto the side of a huge cliff in the Yuanjiajie Scenic Area of Wulingyuan Scenic and Historic Interest Area that is 335 m high. Construction of the elevator began in October 1999, and it was opened to the public by 2002. At the cost of 120 million yuan or $19 million, the elevator can take 48 passengers at once to the top, rated speed 3.0 m/s, a journey that takes 2 seconds shy of 2 minutes. 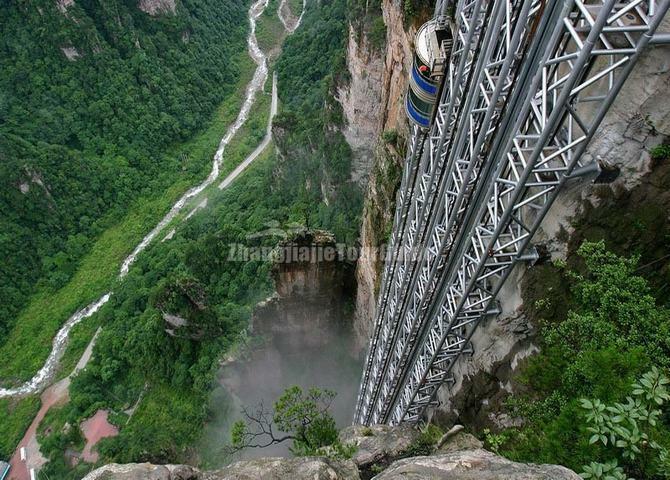 After it was built, the lift was said to be the world's tallest full-exposure outdoor lift, tallest double-deck sightseeing elevator, and the fastest passenger elevator with the biggest capacity.